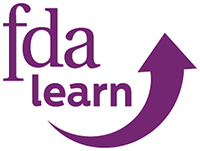 Launched in 2008, our FDA Learn professional development programme offers specialised masterclasses, conferences and events to address a wide range of skills which are closely matched to the Civil Service Success Profiles. Courses are available to all public and civil servants, but FDA members benefit from a free masterclass upon joining as well as discounts of up to 50% and access to exclusive higher education offers. We also work closely with employers to develop bespoke events for their staff and build specific projects - often linked to addressing workforce change issues. Find out more about our upcoming FDA Learn events. Following the launch of Keystone in 2015, we also established Keyskills to extend coverage to HEO-SEOs and support the next generation of senior leaders. Keyskills courses include Development Events, Coaching Offers and Seminars. Find out more about our upcoming Keyskills events. "I was really impressed with the quality, both in terms of the content and the delivery. They have formed some of the best instances of training that I have undertaken whilst in the Civil Service, and have certainly given me a lot to mull over in terms of how I can transfer the lessons learned into my day to day working life." The role of Professional Development Champions (PDCs) is to inform and support members in developing and achieving their goals as well as signpost opportunities and providers. PDCs are supported by learning agreements with employers and have the right to time off to carry out their duties and receive training. Together with Dods, the FDA hosts conferences to help underrepresented groups progress in their careers within the public sector. The Women into Leadership (WiL) and BAME into Leadership (BAMEiL) conferences take place every year across the UK, and feature speakers, discussions and breakout sessions, all offering practical advice. FDA members receive a significant discount for places at these events, details of which can be found on the WiL and BAMEiL websites. The FDA offers discounts to members for a number of Higher Education Institutions. These include 10% off all accredited Birkbeck courses.